The top-ten posts for 2014 are dominated by Chicago Film Club screenings. And why not? With the last two series featuring some great screwball comedies and classic Alfred Hitchcock from the 1940s, it’s no surprise these posts garnered a lot of attention. So here we go! Irene Dunne and Cary Grant fight over Mr. Smith. comedy classic stars the incomparable Irene Dunne and Cary Grant as Lucy and Jerry Wariner. The plot revolves around Lucy and Jerry’s marital woes. Each becomes suspicious of the other, which eventually leads them to divorce court. After the divorce, Lucy and Jerry are consumed with foiling each other’s new romantic interests. Is the awful truth the fact that Lucy and Jerry are still in love? Few stars clicked the way Dunne and Grant due; each brings out the best in the other. Fortunately for us, they made two more classic films: My Favorite Wife (1940) and Penny Serenade (1941). 9. Deanna Durbin: Winnipeg’s Sweetheart—Anyone who has read this blog knows that I’m an unabashed Deanna Durbin fan. I could watch her movies everyday of the week and still not get tired of them. She had a charming screen presence that is hard to define. This post was written for the O Canada blogathon. It’s an expanded piece on a post I wrote about Durbin several years ago. 8. “Bringing Up Baby” 4th film in Screwball Comedy series screened February 11, 2014—The classic Howard Hawks screwball comedy is a fan favorite today, but not so when originally released. The film, starring Cary Grant and Katherine Hepburn had a short run at New York’s Radio City Music Hall where it was quickly replaced (after one week!) with Jezebel. It’s hard to know what turned off fans in 1938 because today it’s considered one of the top comedies of all time. 7. 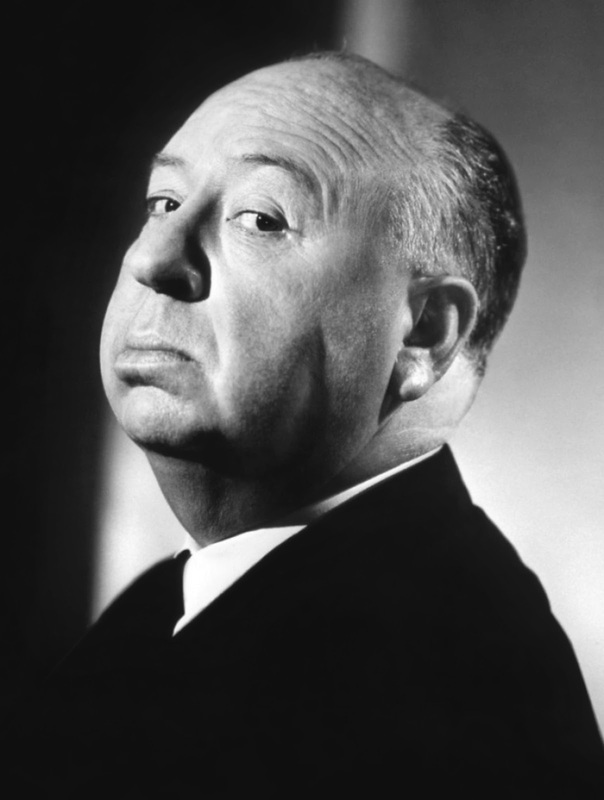 Hitchcock in the 40s—New film series begins May 13, 2014—How can you go wrong with a an Alfred Hitchcock film series? Featuring the Master of Suspense’s studio films when he was under contract to David O. Selznick. Hitchcock felt personally and professionally frustrated working for Selznick. But during this period Hitchcock produced some of his most famous films, including Rebecca, Spellbound, and Notorious. 6. John Wayne: The Life and Legend—This new biography offers new insight into the person behind the iconic movie star. John Wayne was a hard working actor, producer, and business man. Scott Eyman has written a biography that reads like a novel—a good novel. 5. Classic Films in Context: Gone With The Wind—I wrote this piece on the 75th anniversary of the legendary screen classic’s release. It asks the question: Is Gone With The Wind still relevant in the 21st century? Your comments are welcome. 4. Hitchcock’s “Foreign Correspondent” to screen June 10, 2014—Hitchcock’s second American film is a rousing action/adventure that would foreshadow later classics like North by Northwest. 3. Book Review: Tinseltown by William J. Mann—This nonfiction work investigates one of the movie industry’s most notorious unsolved crime: The murder of silent film director William Desmond Taylor. Tinseltown reads like a novel and is a primer on the early days of the motion picture industry and some of its most famous and infamous characters. Mann’s book is a fascinating read that I found hard to put down. 2. “What’s Up Doc?” final film screened in screwball comedy series April 12, 2014—Director Peter Bogdanovitch’s homage to the classic screwball comedies of the 1930s and 1940s is a classic in its own right. Featuring the talents of Barbra Streisand and Ryan O’Neal at the height of their careers. And like those classic screwball comedies of old, What’s Up Doc? features a fantastic supporting cast, including Kenneth Mars, Austin Pendleton, and Madeline Kahn in her scene-stealing motion picture debut. A laugh-riot from start to finish. 1. The most chilling of them all: Joseph Cotton in “Shadow of a Doubt”—Not surprisingly, my number one blog post for 2014 is on my favorite Alfred Hitchcock movie, Shadow of a Doubt. More specifically, it's about Joseph Cotton’s amazing portrayal of murderer Charles Oakley. The post was part of the Great Villains Blogathon in April. How Cotton was neglected at Oscar time (and Teresa Wright too!) is one of Hollywood’s great mysteries. I hope everyone had a great 2014. I'm looking forward to an even better 2015!